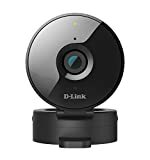 Interested in the D-Link HD WiFi Security Camera – Indoor – Night Vision – Remote Access – Works with Google Assistant – Casting – Streaming (DCS-936L)? Is the price too high? You can easily price watch this product and we'll notify you when the price reaches your target.